Happy day to you, my wonderful friends! for leaving such sweet comments on my last post. as I slow down on my blog. I look forward to "seeing" you each week. and plenty of "bling bling." You can't go wrong with sparkles, right? to make your own banner. 6 x 8 from the sparkly paper. 4 x 6 from the heart paper. to the center of each heart paper. and slide the tulle through the holes. Then add the buttons in between each piece. and added a small piece of felt to the back side. for the center of my banner. to hang in your home for Valentine's Day. hanging in my dining room. Someone wanted to be in the picture. . .
can you find Burrito the cat? I wanted to share a charming little book with you. but it's one I think you will enjoy reading any time of the year. and save it to enjoy during the next Christmas season. gift-giving, stockings, advent wreaths, mistletoe, and holly. causing people all over the world to anticipate it with joy. s you rediscover the true and eternal significance of Christmas. by Ace Collins is truly a fantastic and remarkable book. at how little I really knew about Christmas. in the days of old." but it's quite large and rich in detail and history. will offer some wonderful and insightful information. and the traditions that have formed over the years. as I believe it's one that will encourage and inspire the reader. from BookLook Bloggers for an honest review. I am giving a copy away. that you would like your name entered. This giveaway is open to all USA and Canadian residents. So sweet ! A pure delight !!!! I'm a new reader here and love the Valentine's banner! I'm going to make one as soon as we can dig out from all the snow and get to the craft store! The Christmas book sounds wonderful, thank you for the opportunity to win it! Have a great Wednesday! What a delightful "LOVE" banner, Stephanie. And it looks so nice hanging from your hutch in your dining room. All the little sparkles add something. You always create the most wonderful things. I've been thinking of Valentine's Day also and decorated yesterday. I thought it might be too early, but how can it be too early to spread love in the world, right? I noticed that red vase on your table, oh my, that's beautiful. And the roses! That's a beautiful banner and, if I didn't need to use glue, I might be tempted. ☺ I am not sure but I suspect that Christmas past was a much more simple affair and a fairly "recent" development at that. I love that banner. I think I'm going to try to do something similar. So pretty. I would love to read that Christmas book. I hope I win it. But if not, I think I will buy it. It sounds so interesting! Hi Stephanie! What a pretty banner you have created! This book sounds really interesting. Thank you for the give away opportunity! Well you know I DO love my Valentine decorations and this is adorable! I love the black and pink and the 'bling bling' with the buttons! The pretty papers that are available today are like candy . . . I love looking at them and thinking of ways to use them. That book looks very interesting . . . I love books like that that give you history of things and where they originated. I have several books that give the stories behind hymns and always enjoy reading those! Have a wonderful, warm, cozy week! (It's FREEZING literally here and supposed to get worse as the week progresses . . . good weather for staying in and reading and crafting!!). Hi Stephanie, I wish you and your family all of God's best in your new endeavors. Your Valentine's Day banner is so cute and so is your kitty. 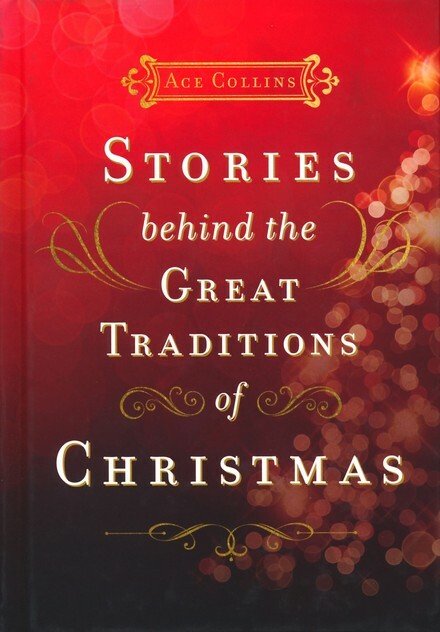 The Christmas book sounds very interesting. Wishing you a happy winter, we have had a lot of snow recently, but before that we had almost no snow and very warm temps for this time of year. Hi Stephanie! Hope all is well with you, I love this sweet banner. Thanks for the instructions! Looks lovely on your beautiful hutch and Burrito certainly finishes off the photo. You make crafts look so easy and fun I might add. You made such a pretty banner and it will be perfect for Valentine's Day. Hope you are having a nice week. Oh Stephanie, your banner is absolutely adorable and looks just perfect on your hutch. The book really sound wonderful! I love hearing about how different traditions get started so throw my name in the hat please, ma'am! Blessings to you! A very lovely banner, thanks for sharing with us. Please put my name in for the Christmas book it sounds very interesting. What a beautiful banner. You are so talented. Yes, I would love to win the book. Have a great day. The banner is so beautiful.. Cute banner! Call me a magpie because I'm drawn to all things sparkly! Please enter me in your giveaway, Christmas is very special to me! Thanks so much for sharing your creativity with us, love your "love" banner. That is the sweetest banner and looks lovely in your dining room! The little bit of bling just makes it!!! I do like Valentine's Day decorating, it's just so fun! Such a beautiful banner and so wonderfully made in time for Valentines day. We are to get very cold for the next week or so. I will be inside working on my seed order for my garden. Such a beautiful piece of decor you've created here! I love to see banners displayed! and this one is so very petty~ Thank you for sharing your idea's with us. oh stephanie...love is surely in the air, i "love" this holiday!! your tutorials are always the best, all details are included!! the book looks and sounds wonderful!!! You just can't beat the colour pink! I love it! That is a beautiful Valentine's banner. The book sounds interesting, you can put me in the drawing for this one. What a sweet and thoughtful banner. Love. How important it is and how much it is needed in our country today, many prayers needed. I shared our phamily sadness with your mom. Perhaps she will tell you and you can pray for our son and his little phamily too. Great banner...and what makes me laugh is that I received a lovely bath gift set for Christmas that had a lovely piece of sparkly cardstock as part of the packaging! Well, of course I snagged that baby out first, knowing full well it will be put to good use...and thanks to you, it now has a purpose! THANK YOU...great blog! Such a pretty banner Stephanie! You're so creative. I hope you and your family are having a good new year so far. I love this sweet banner, Stephanie, and the way you've used different patterns and textures, they work so well together. I love your banner - and most especially the special button (not that I have a liking for buttons or anything!). Enjoyed seeing Burrito who obviously thought he (she?) was hiding. And yes please, I would love to have my name in the hat for the book. Reading the history of Christmas would be interesting I know! The banners are cute and made so beautiful by your golden hands. Perfect Valentine's banner! Love where you've displayed it too. Sounds like you've been staying busy... creating, and reading, etc. Just lovely and delicate. After a year dealing with my dearest health issues, I am finally, getting back to blogging. I do see your blog from time to time but have had time to comment. Hopefully that will change now. Everything you do just shows God's love. He has really worked in my heart this difficult year. Praise His Name...If a hard year brought HIM Glory...it was worth it all.